XL 6750 x 4500px 15 Mb. 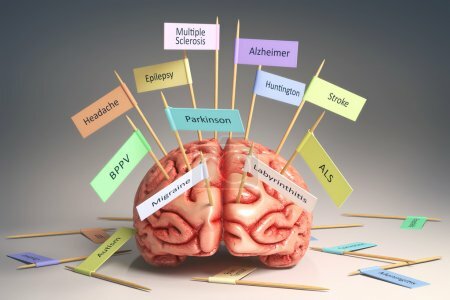 Image of a brain on the table with various nameplates of various diseases that can affect our brain. It's a 3D image with nameplates stuck by toothpick. Clipping path included.